Interested in having a beautiful lawn? Irrigation systems make this possible. Larger yards may take a lot of time to water by hand, especially if you have a lush garden or grow a large number of fruits and vegetables. Depending on the plants you grow, they may need to be watered twice a week during the summer. This can be incredibly time consuming. 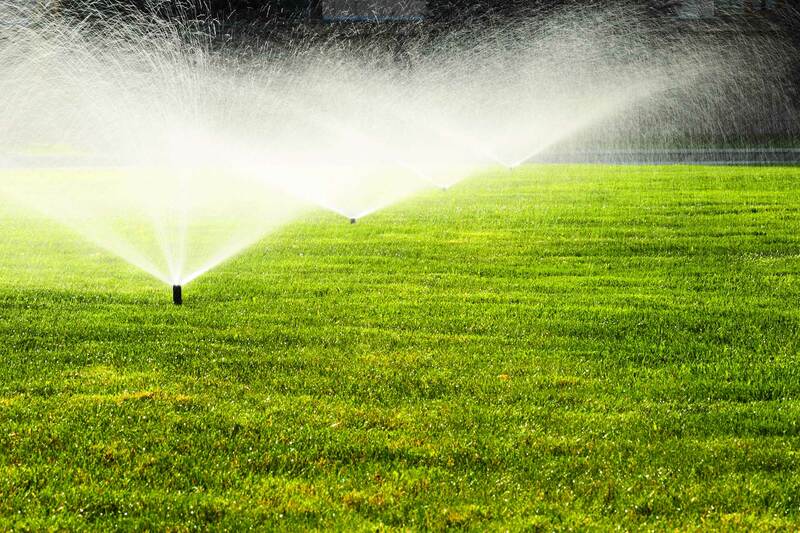 Installing and irrigation system may seem like an intimidatingly expensive endeavor, but they offer countless advantages to large lawns which require a lot of TLC. Specialized drip irrigation systems direct water specifically to the root ball of each plant. Typical rainstorms and hand watering indiscriminately water everything, including the surrounding weed seeds, causing them to germinate. Water directed by a specialized drip irrigation system prevents this and means that you will have far less weeding to contend with. Water at the roots also prevents the leaf diseases, many of which are caused by standing droplets negatively affecting foliage. As water does not harshly strike leaves or flowers, blight diseases have no chance of taking hold. Hand watering, especially on large lawns or gardens, is time consuming and tedious. Extensive watering rituals can take time away from family, friends, and important tasks. Drip and sprinkler irrigation systems have preset timers so your plants will always be watered right on schedule, and you won’t have to worry about it. You can have your plants watered daily, weekly, or on any schedule which best suits their growth. If these systems are effective, your water bill should be significantly lower. Hand watering or using a garden hose can often result in far too much water seeping into the soil. This results in important nutrients leaching out with water runoff, meaning your plants are malnutritioned. The soil can also become compacted, which negatively affects plant growth and causes withering and root disease. The smaller droplets utilized by irrigation systems lead to healthier and happier plants that thrive. This entry was posted on Friday, April 1st, 2016	at 12:28 pm	. You can follow any responses to this entry through the RSS 2.0	feed. Both comments and pings are currently closed.